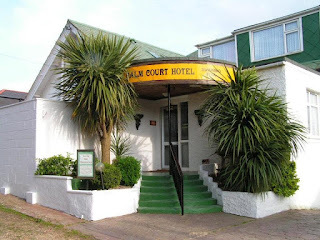 The Palm Court Hotel is a family run hotel located a 10 minute walk from the centre of Shanklin. 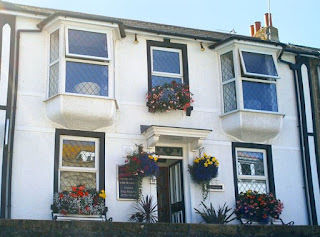 The hotel is family friendly and ideally placedfor exploring the Isle of Wight and the many attractions and beautiful locations it has on offer. There are 16 guest rooms at the hotel and they can all be made up as twin or doubles depending on your requirements. All of the hotel rooms are en suite and include a TV with Freeview and tea/coffee making facilities. Breakfast is served in the dining room and is freshly prepared each morning. Tuck into fruit juice, a choice of cereals, full English breakfast, freshly brewed tea or coffee and toast. 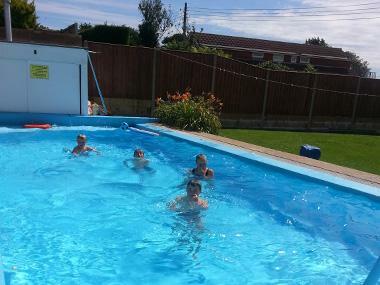 Guests are welcome to relax in the hotel garden on a sun lounger next to the crystal clear 36ft swimming pool (heated for comfort). This is a great place to unwind and forget the stresses of modern day living. The comfortable bar/lounge is a great place to relax and meet other guests; there is a good selection of drinks including draught beers at local pub prices (not hotel inflated prices). The Walls Bed & Breakfast is a stylish and elegant B&B that overlooks the River Tweed in Berwick-upon-Tweed. This 5 star gold rated property makes the ideal base from which to explore North Northumberland and the Scottish Borders. The award winning breakfast is freshly prepared each morning and is made using only the best ingredients. Northumberland is England's most northerly county and has many wonderful places to explore during your stay. There are miles of coastal walks to enjoy along with stunning moorlands awaiting discovery for those seeking relaxation, a peaceful break or a longed for escape! 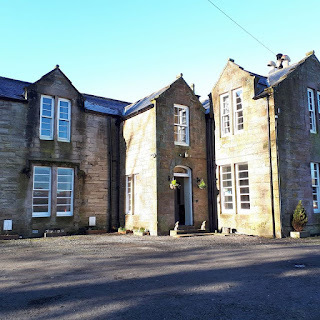 Rigg House B&B is a family run bed and breakfast that is located in a beautiful part of Dumfriesshire; at Kirkconnel, near Sanquhar. The guest rooms all have private bathrooms, flat screen TVs, & have refreshment trays with tea, coffee & homemade flapjacks. Breakfast is included, and your hosts are happy to organise packed lunches and evening meals with a few hours’ notice. Rigg House is nestled in the middle of the Rigg Estate, which is set in approximately 4,000 acres of mature woodland and a melee of young plantations. The River Nith runs through the estate offering great sea trout and salmon fishing. Walking, mountain biking, canoeing and gold panning are all available nearby. There are several golf courses close to the Rigg Estate, these include Sanquhar and Thornhill. Troon itself is only about 35 miles away. 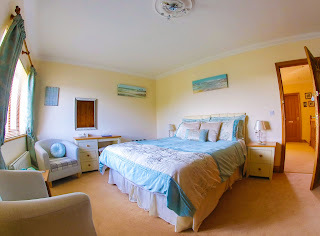 Three guest rooms are available, all of which are decorated and furnished to a high standard. Two of the double rooms are en suite and one has its own private bathroom. Breakfast is included within the room rate, and locally sourced farm produce wherever possible. The village of Cosheston is close to many main tourist centres. Many of Pembrokeshire’s world famous beaches, coastal paths and spectacular castles are within easy reach. The area really is a haven for walkers and cyclists. If it's brisk beach strolls or countryside cycling you're after, your hosts are happy to recommend all the best walking or biking routes to suit you. 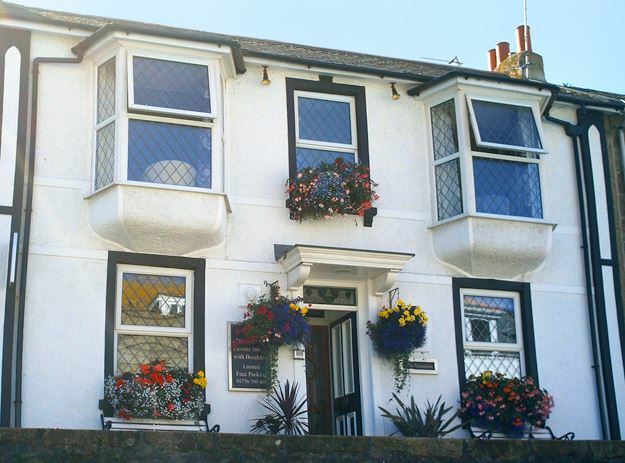 The Belmont Guest House is a small, family run guest house just 500 metres from Porthminster Beach in St Ives, Cornwall. The famous Malacoff is just around the corner, where visitors love to sit and admire the wonderful views of the Harbour, Godrevy Lighthouse and beyond. The famous beaches of St Ives are all with in a 10 minute walk of The Belmont Guest House, as is the Tate Gallery. All of the guest rooms have been tastefully furnished in a contemporary style and have their own shower suite. Additionally, all include a flat screen TV with Freeview, DVD player & a refreshment tray. Breakfast is served in the beautiful dining room each morning, where you can tuck into a Full English or a lighter option if you prefer. Guests are welcome to make use of the lounge/library where you can meet other guests, watch TV or read a book. The Panorama is situated overlooking the beautiful golden sands of Tenby's South Beach and offers relaxing, quiet and comfortable hotel accommodation that is ideally located for a well deserved break away. This award winning hotel offers unrivalled comfort and incredible views of Carmarthen Bay & the monastic Island of Caldey. 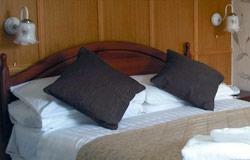 A variety of guest rooms are available; singles, twins, doubles, and family rooms. All of the guest rooms have private en suite facilities and offer guests complimentary hot & cold beverage trays, hair dryers, radio alarm clocks, flat screen televisions with Freeview, DVD players, trouser press, shoe cleaning equipment and ironing facilities are available upon request. A hearty and home cooked breakfast is available in the dining room and is a great way to start your day before exploring one of the many local attractions. 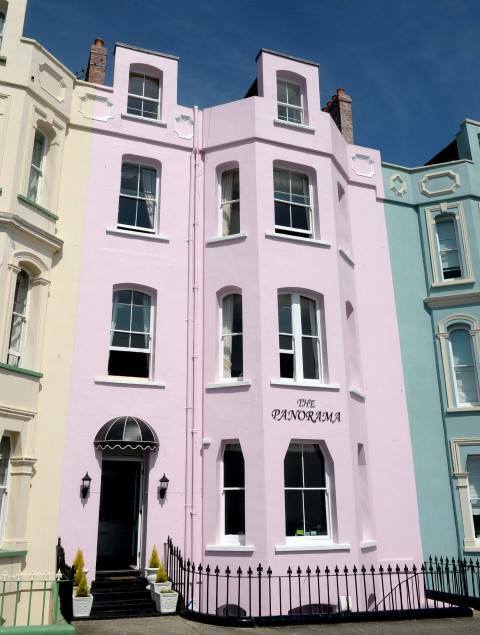 Views of Tenby’s South Beach can be enjoyed from the dining room. Pembrokeshire has the best beaches in Britain, with more Blue Flag beaches, Green Coast Awards or Seaside Award Beaches than anywhere else in the country! You can enjoy strolls along the miles of coastal paths and enjoy the variety of flora and fauna. 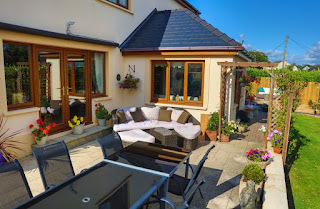 The opportunities are endless, and Pembrokeshire caters for both families and couples. 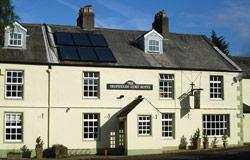 The Shepherds Arms offers popular guest accommodation located in the settlement of Ennerdale Bridge in Cumbria. The guest accommodation is located within The Lake District, where there are numerous activities available. 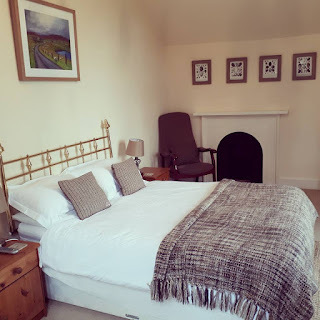 The 8 guest bedrooms include twin and double rooms and all offer the following en suite facilities or private bathroom, TV, radio, telephonem& complimentary toiletries. The bar and dining menus put emphasis on local produce and traditional home cooking, and stock a range of real ales from around Cumbria. With not one but two real fires in the bar, plus seating outside, this is a place to enjoy your food and drink whatever the weather. There are many great walks and cycle routes in the local area. The Lake District offers a range of things to do including canoeing, kayaking, white water rafting as well as great family attractions including Treetops where you can tackle treetop obstacles. The Henllys Estate Bed & Breakfast is a wonderful stone building that is located on the Henllys Estate. 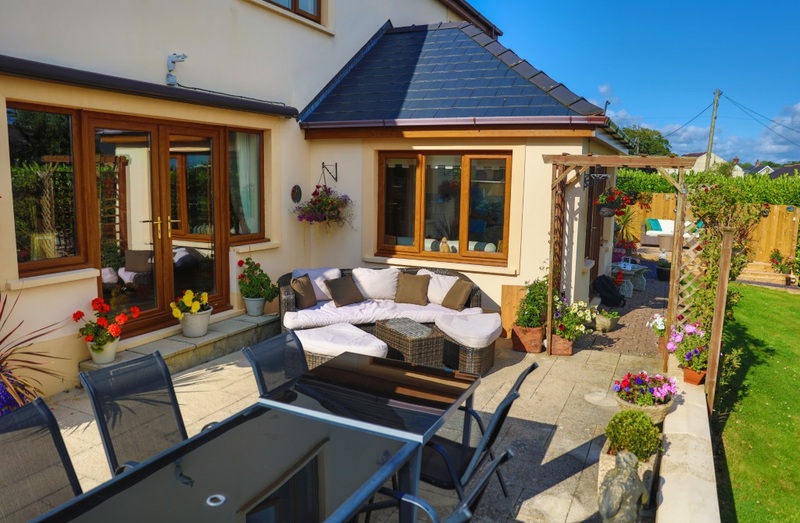 5 minutes from Llandovery in Carmarthenshire, this is an ideal location for walkers, cyclists and wildlife enthusiasts as it's just 10 minutes from the Brecon Beacons National Park. All of the B&B rooms have oak floors, exposed beams and are light and airy. Ground floor guest rooms are available and are ideal for those who have limited mobility. Each B&B room is en suite has a digital television and tea & coffee making facilities. Ground floor guest rooms also have access to the Garden and seating area where you can enjoy view across the Towy Valley. Breakfast is taken in the dining room. A huge variety is on offer, including fresh fruit, cereals, yoghurt and toast as well as delicious cooked breakfasts using locally sourced produce. The estate is still a working farm and provides some of the ingredients for breakfast, the rest being sourced as locally as possible. Guests can enjoy walks in the 12 acres of woodland and fishing in the trout lake. There are many things you can enjoy without leaving the estate, such as yoga classes, holistic therapies such as reflexology and massage, or simply enjoying spending time with the animals on the farm. You Don’t Need to Go Abroad for a Beach Holiday!